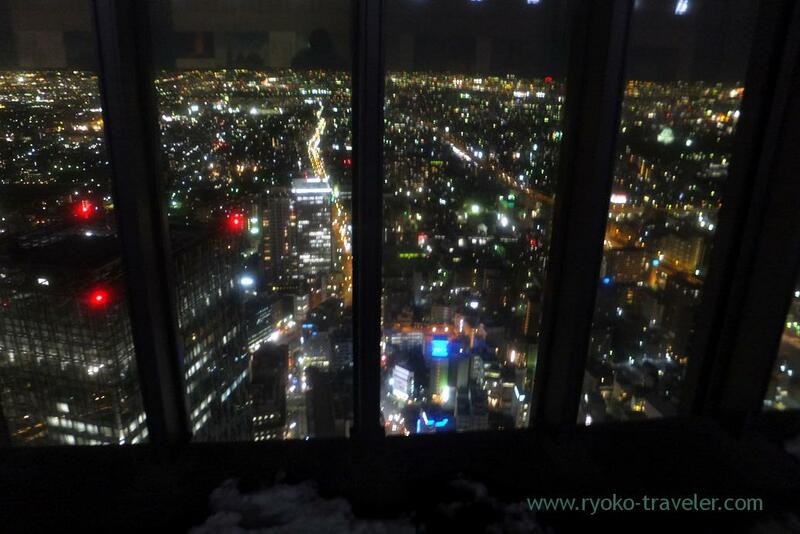 What I wanted to do if I have a chance to visit Nagoya is to see night view of Nagoya city. 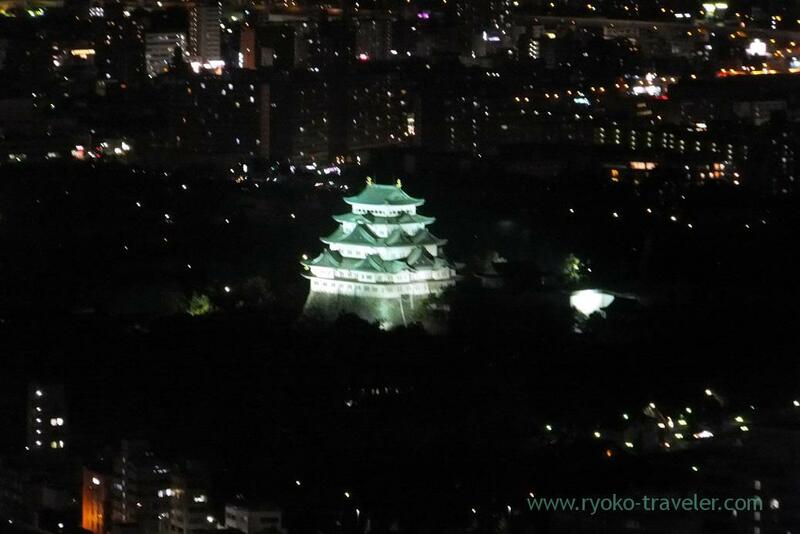 Illumination of Nagoya castle ! 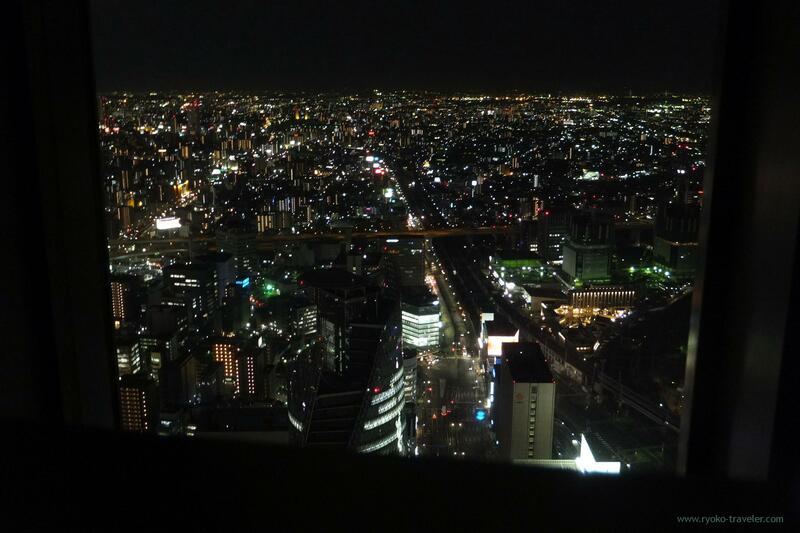 There’re many night view spots in Nagoya and it was hard for me to decide one place. 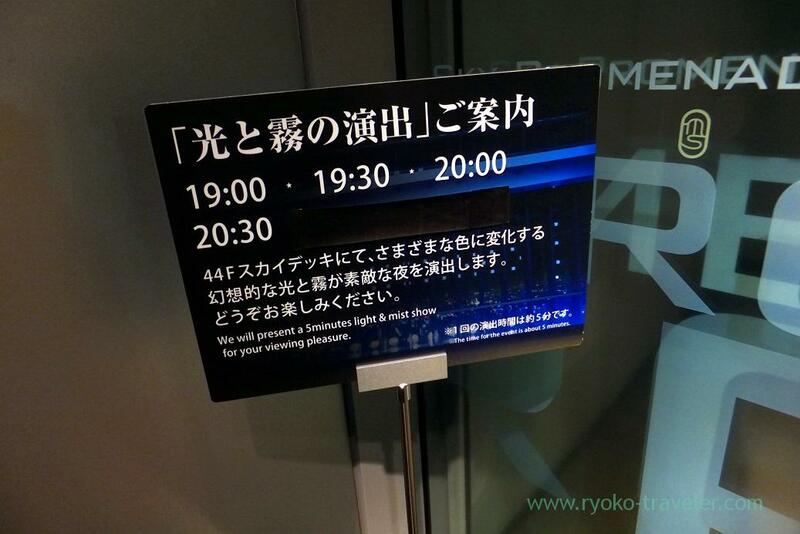 But there’s new building named “Midland Square” that have observatory room just close to Nagoya station. Midland Square is large building that was built in 2007. It was rather still new. Though I thought I can’t go there because our plan was very tight. But this location is very good. 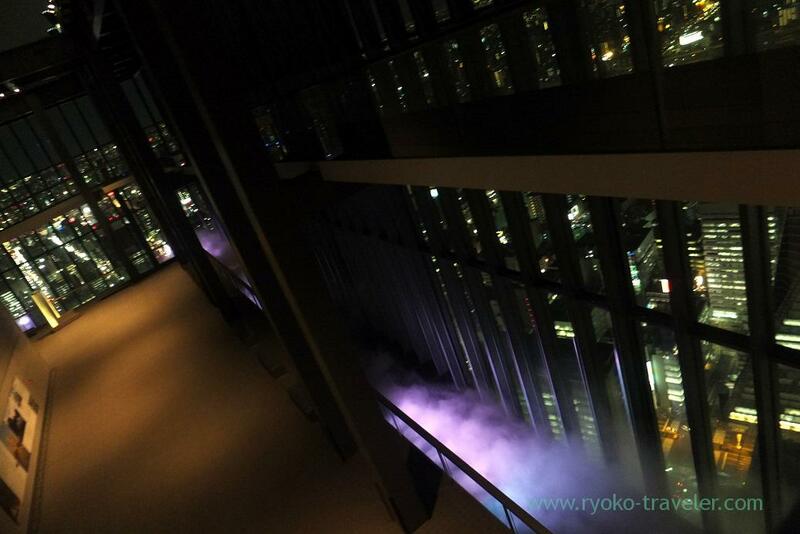 If you stay close to Nagoya station, you can visit there with easily. 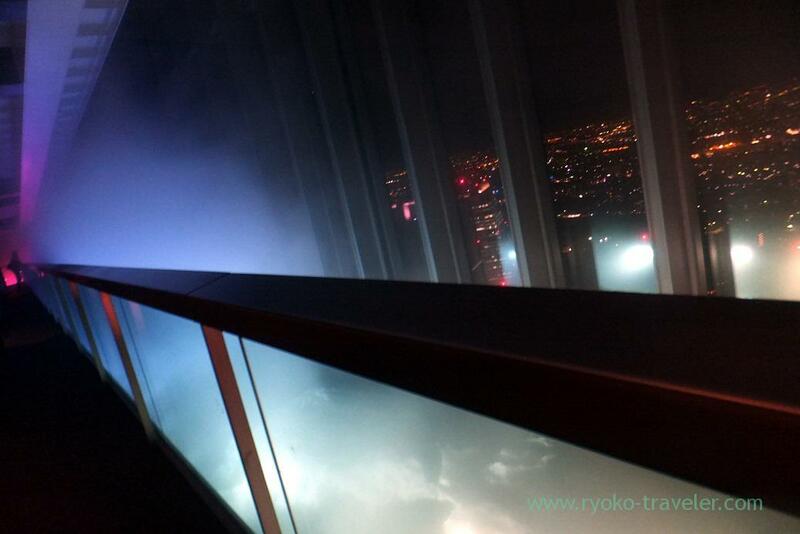 Entrance of observatory room is on the 42nd floor. I went up in the elevator. If you don’t find the elevator, ask someone at the information counter and anywhere. Two ladies waited me and I bought a ticket at the ticket vending machine and handed it to her. There are two types of tickets. 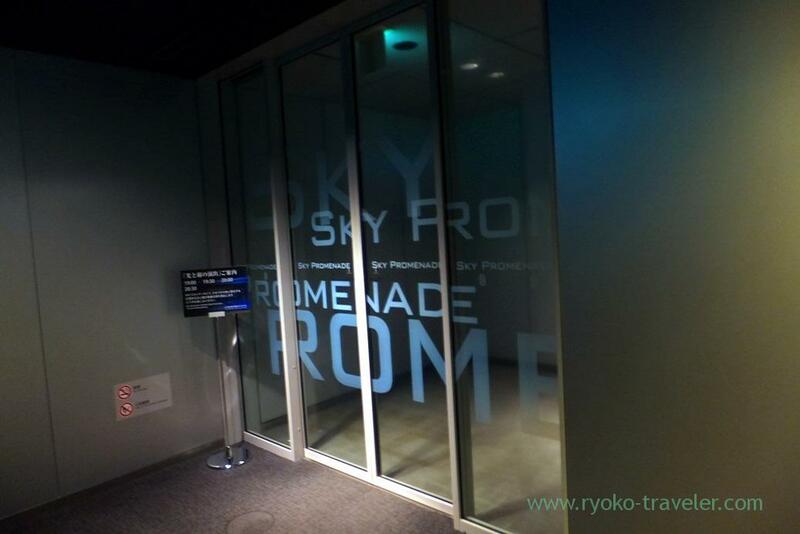 One time ticket (adult – 750 yen) and one day ticket (adult – 1,050 yen). If you have one day ticket, you can enter the room as many times as you like in a day. 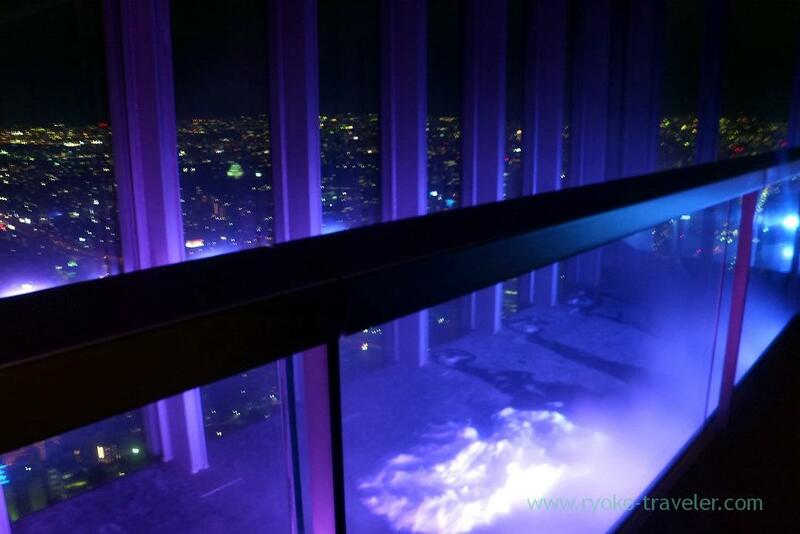 So, if you want to enjoy both daytime view and night view, you’d better buy one day ticket. 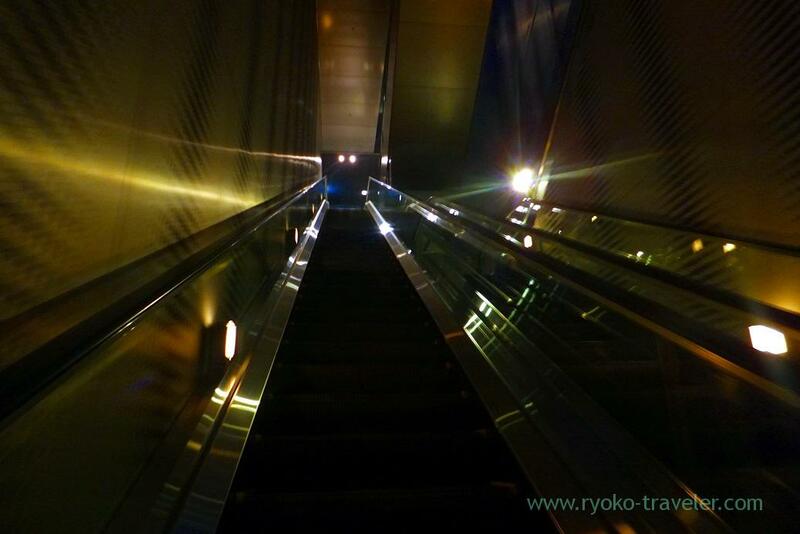 And then I went up to 46F on the gorgeous escalator. There was no one when I got to there. View from 46F. It’s like treasure box ! Like corridor. This observatory room provides a 300-degree view. Downward slope. When I got to there, there was no one except me. There was no staffs. So calm. I felt I was floating in the air ! 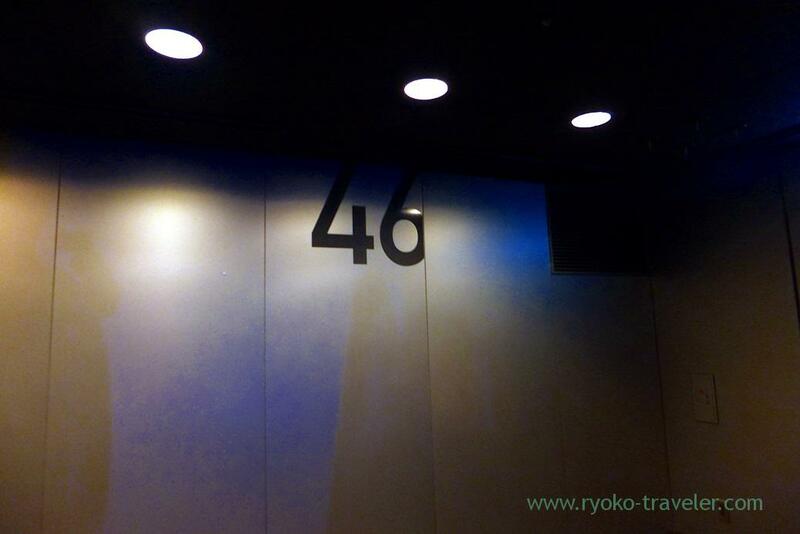 There’s stairs between 46F and 44F. 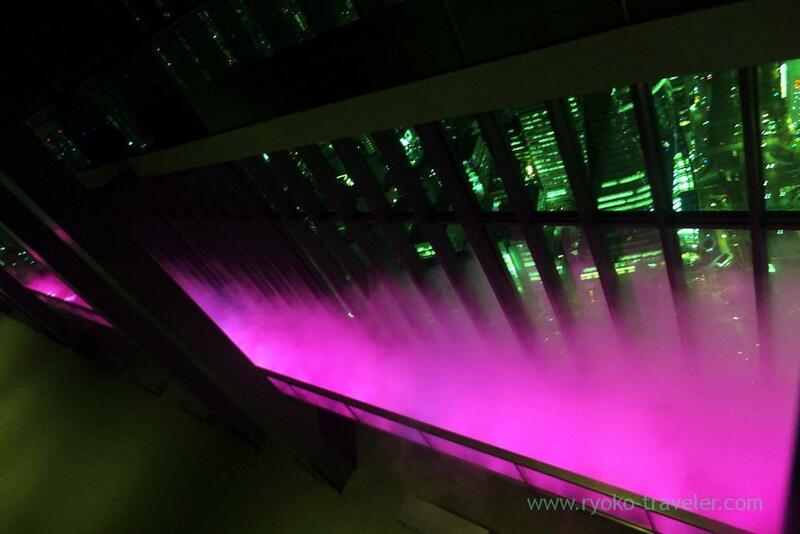 I went down to 44F in time for light and mist show. Some people came into the room in time for the show. But still there was only a few people because it was weekday. Umm. What do you think about it ? I think it isn’t needed. 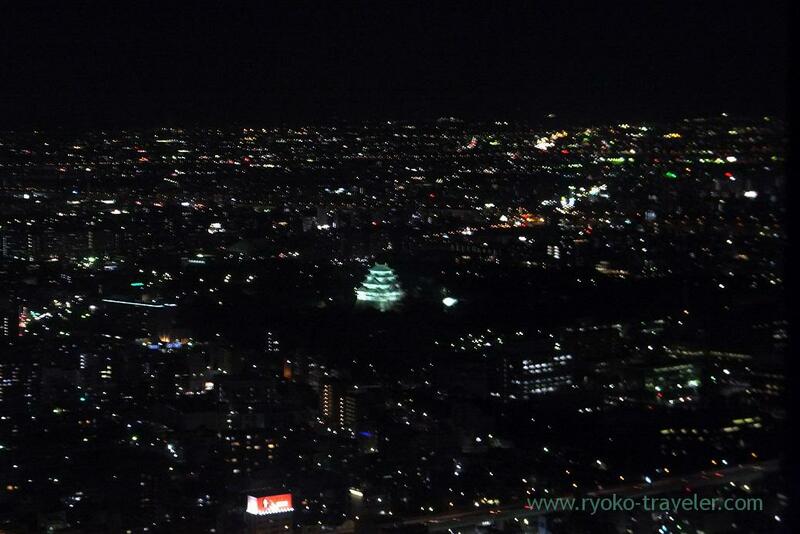 Illuminated Nagoya castle was beautiful, too. It’s overwhelming presence in Nagoya city. 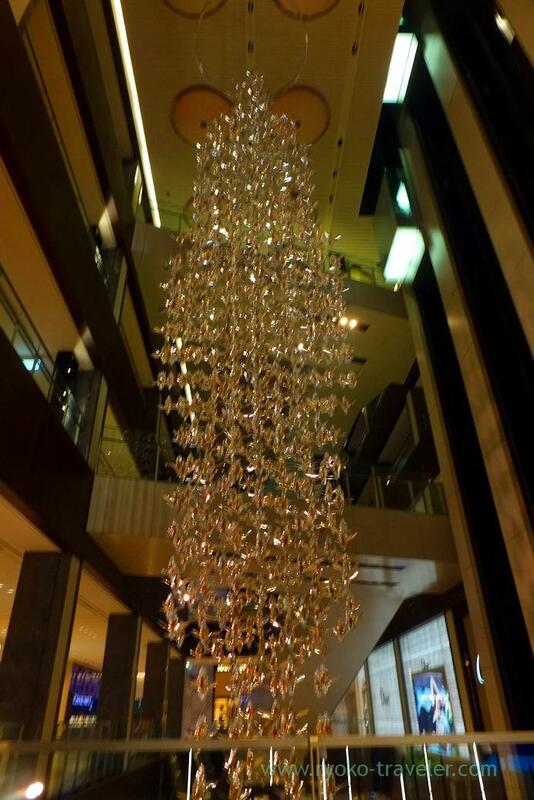 Midland square is gorgeous building and it have many shop and restaurants. I wanted to enjoy more if I had more time.